James offers a FREE first / introductory lesson! 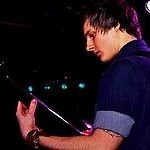 I'm a 27 year old experienced musician, I've been playing guitar for about 15 years and have a degree in Music Production. I have a DB check and currently teach guitar at an academy in Derby as well as teaching privately at my home 1 mile south of Derby in the Peartree area. I have taught music in local schools as well as both electric and acoustic guitar, I'm happy to teach casually and teach more experienced pupils who want to do grades/prepare for a show. I've been teaching guitar privately for about 7 years including a range of different ages and abilities. I teach one-to-one lessons as well as groups, in group lessons you receive a great discount and it's great for groups of friends forming a band, or just learning a few songs for fun! Everyone has different goals and no guitar teacher should be teaching the same lessons plans to all of their students, my approach is that we would have the first lesson (free of charge) and talk about your goals, interests and aspirations, and then I will plan the lessons based around that so that you're always learning what you want, and learning in a way which maximises your progression.